A very well-known Android developer and recognized member of XDA Developers forum named "Chainfire" has developed a working CF-Auto-Root Tool & Package Files for Samsung Galaxy S5 Smartphone, that allow Galaxy S5 users to Unlock, Flash and Root Samsung Galaxy S5 All Models, Variants, Versions Smartphones Running Android 4.4.2 KitKat mobile operating system. By using the CF-Auto-Root Tool Packages for All Galaxy S5 Models developed by "Chainfire" will allow users to gain complete root access of Samsung Galaxy S5 Smartphone's operating system to modify, alter and change systems files. Android Rooting is similar to iOS Jailbreaking. For Samsung Galaxy S5 Rooting on Android 4.4.2 KitKat using the CF-Auto-Root Tool, Users just required to download the appropriate CF-Auto-Root Package File for their Galaxy S5 models available below. So if you want to know How to Unlock, Flash and Root Samsung Galaxy S5 All Models Running Android 4.4.2 KitKat Using CF-Auto-Root Tool, then just follow the below guide and tutorial. Check and confirm your Galaxy S5 model numbers by going to Settings > About phone > Model Number. And ensure to download the correct root package file for your device. USB Drivers installed and configured properly. Ensure at least 80 percent battery charging left. We, TechGlobeX are neither responsible nor liable for any damage occurs to your device when following this guide and tutorial. So follow at your own risk. Step 1: Download and Install the appropriate CF-Auto-Root package files and Odin3 v3.09 tool from above links and extract files to your PC/Laptop. Step 2: Now, You need to Boot your Galaxy S5 device in "Download Mode" by press and hold down the "Volume Down, Home and Power Keys" simultaneously. When a warning screen is displayed, press the "Volume Up Key" to enter into "Download Mode". 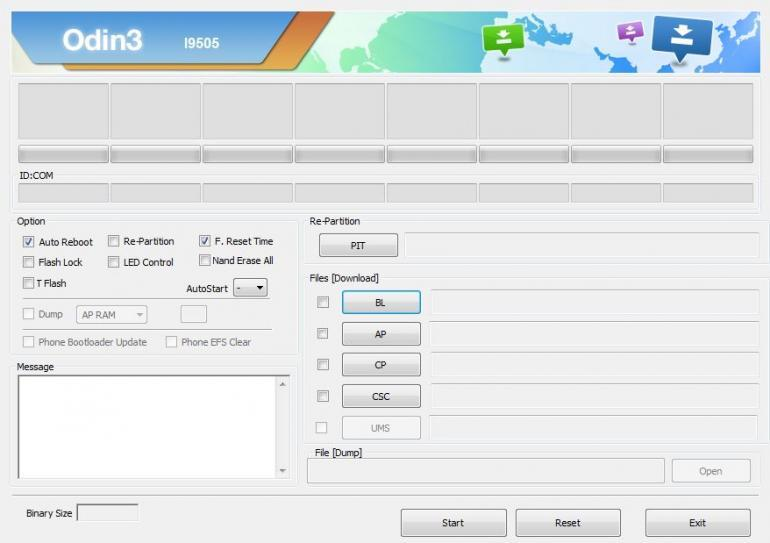 Step 3: After that, You can Run Odin3 v3.09.exe Tool as Administrator and then connect your Galaxy S5 device to your PC/Laptop via USB data cable. When a connection established, You will see a message showing "Added" in Odin’s msg box. Step 4: Now, Click on the "AP Button", and select the "CF-Auto-Root Package File" (.tar.md5 file), Which you extracted in "Step 1" to your PC/Laptop. Step 5: After that, Make sure that "Auto Reboot" and "F. Reset Time" options are checked while "Repartition" is unchecked on Odin3 Tool. Step 6: Now, Click on the "Start Button" in Odin3 Tool to start the flashing/rooting process. Step 7: After the completion of whole process, Your Galaxy S5 will restart and a PASS message with green background will appear in the left-most box at the top of Odin3 Tool. Congratulations!! You have successfully Rooted Galaxy S5 on Android 4.4.2 KitKat.